Keyless entry is promoted by car companies as a easy convenience. However, new tests show the technology is now an easy convenience for car thieves using cheap technology. 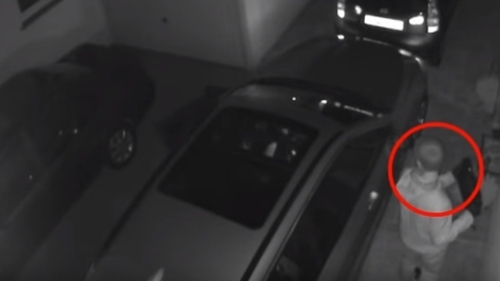 The technology that allows you to get into your car without having to insert a key is a sellling point on some of the most popular cars on the market in Ireland. According to a new Which? consumer report that analysed data from the German equivalent of the AA, many of those cars are easily fooled by car thieves using cheap technology that can be bought on-line. Among the cars that can be hacked are the Volkswagen Golf, the Ford Focus, the Nissan Qashqai, several models from Audi, BMW, Citroen, Kia, Mercedes and Hyundai. The German experiments - conducted by ADAC - managed to fool the systems on 237 keyless cars. (See full list below). Only seven could not be unlocked and driven away - a failure rate of 99 per cent for the rest. The only cars that could not be opened and started using the technology were from the Jaguar Land Rover Group - the 2018 versions of the Jaguar i-Pace, the Land Rover Discovery and Range Rover. The technology that fooled the car's systems can be bought easily on-line. It is usually a range extender that simply picks up the signal from the key fob (unless it is stored in a metal box) when the owner leaves it down. It's bad news for those of us who tend to leave our keys on a hall table or in a jacket pocket. The ADAC says the problem can be addressed by car companies but has not been. It's now campaigning to force car companies to act. "Carmakers have sacrificed the security of scores of modern cars for the sake of convenience," Which? said. "Thieves have been using the relay attack for several years. But the number of vehicles that can be stolen in this way has rocketed because many manufacturers have done nothing to protect their cars from this attack." However, Mike Hawes, the chief executive of the car industry’s Society of Motor Manufacturers and Traders, told the Guardian: "Industry takes vehicle crime extremely seriously and any claims otherwise are categorically untrue. New cars are more secure than ever, and the latest technology has helped bring down theft dramatically with, on average, less than 0.3% of the cars on our roads stolen. "We continue to call for action to stop the open sale of equipment with no legal purpose that helps criminals steal cars."